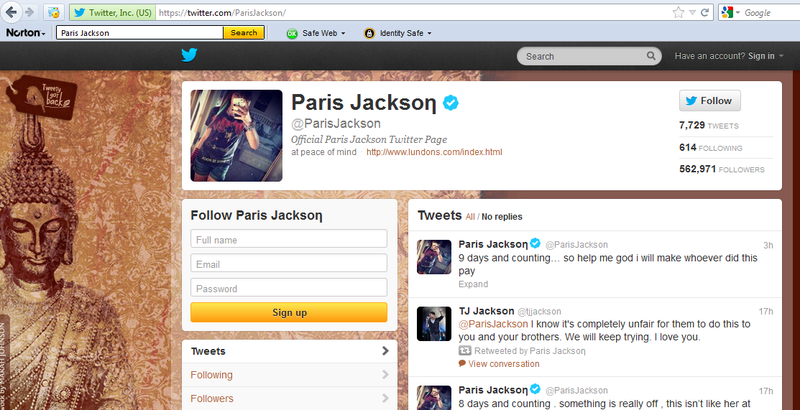 Out of the blue, I decided to check out Paris Jackson’s Twitter page. Okay, this really only occurred to me because her family’s been in the news about some disputes over money. I had read that Paris had reported her grandmother missing on her Twitter page. So, for the first and possibly only time in my life, I looked her up. Having satisfied my curiosity, I was about to close the window until I saw — lo and behold – on the left side of the screen, ANOTHER BUDDHA. This is so interesting in part because I’m more attracted to Advaita Vedanta (Hinduism), than to Buddhism, but Buddha keeps showing up. What does he want?